I've just posted my contribution to the Innocent Big Knit. The folks at Innocent are working with Age UK to help keep older people warm this Winter. 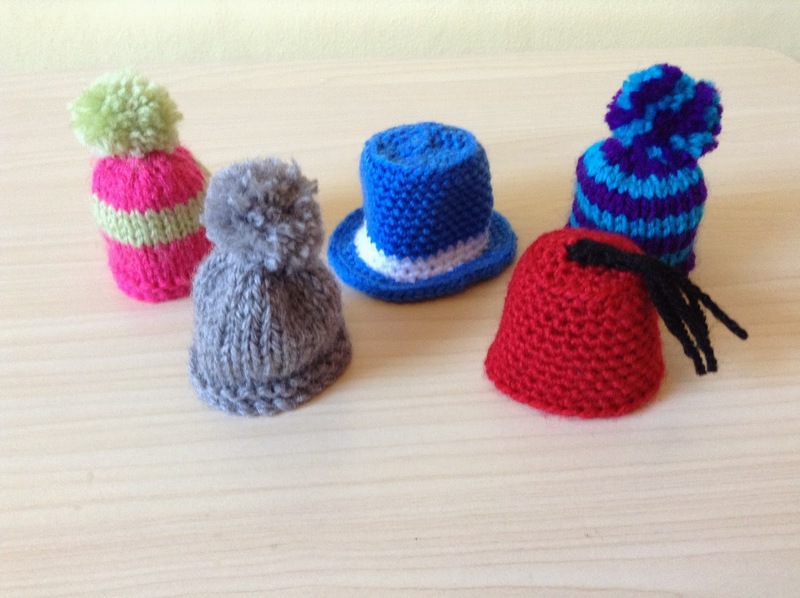 They put little hats knitted by us knitty people on the top of their bottles and 25p from each bottle sold goes to Age UK. Brilliant stuff. I'd have quite happily carried on knitting these and making little pom poms until the cows come home, but the deadline is this Thursday (31st).